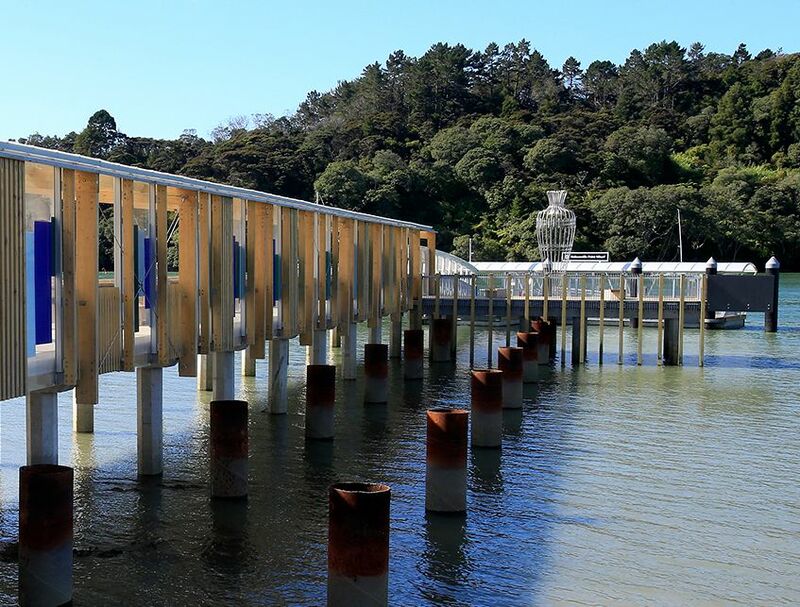 The new ferry wharf at Hobsonville Point was built by Auckland Transport as part of an upgrade to the existing wharf area. 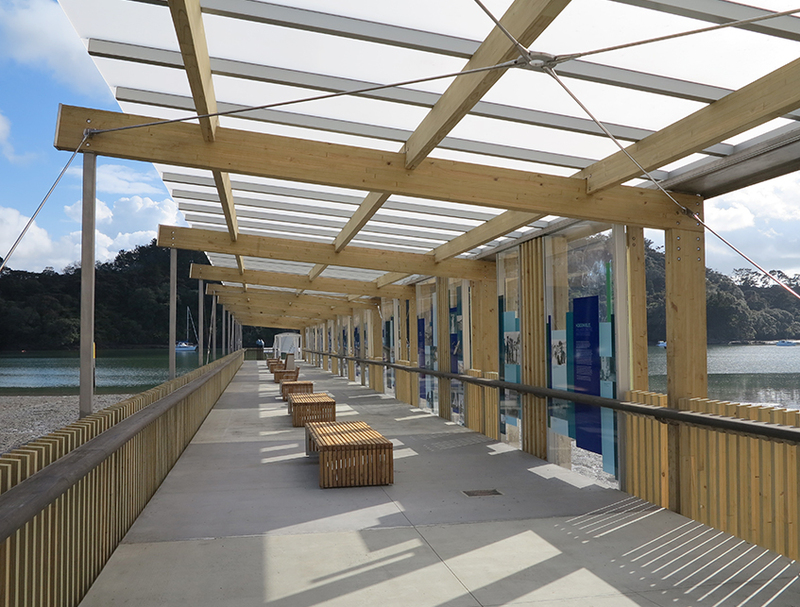 At 70m long, the wharf is constructed almost entirely of structural laminated timber with extensive detailing performed off site to enable efficient construction on site. 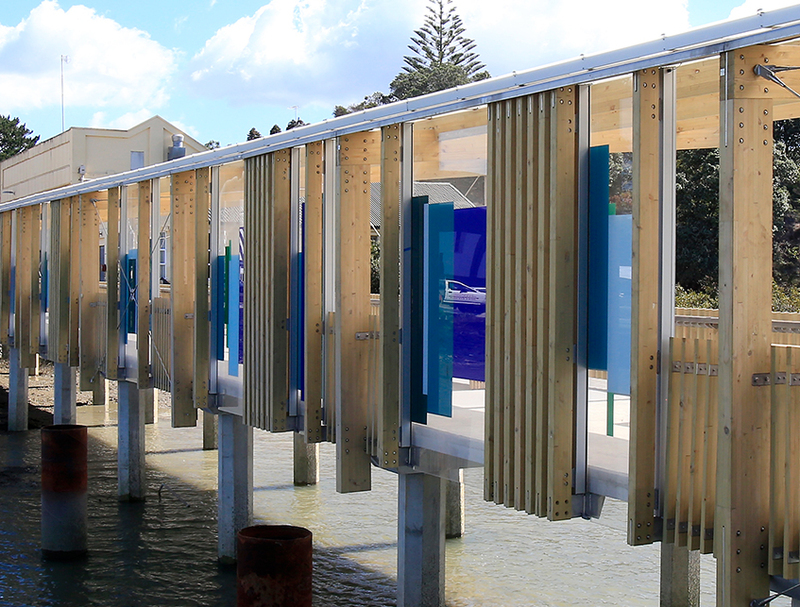 The wharf is fully covered and features seating and a multi-level pontoon for people to board. Designed to enable access for the disabled, the pontoon is also future proofed to accommodate larger vessels as the area grows. 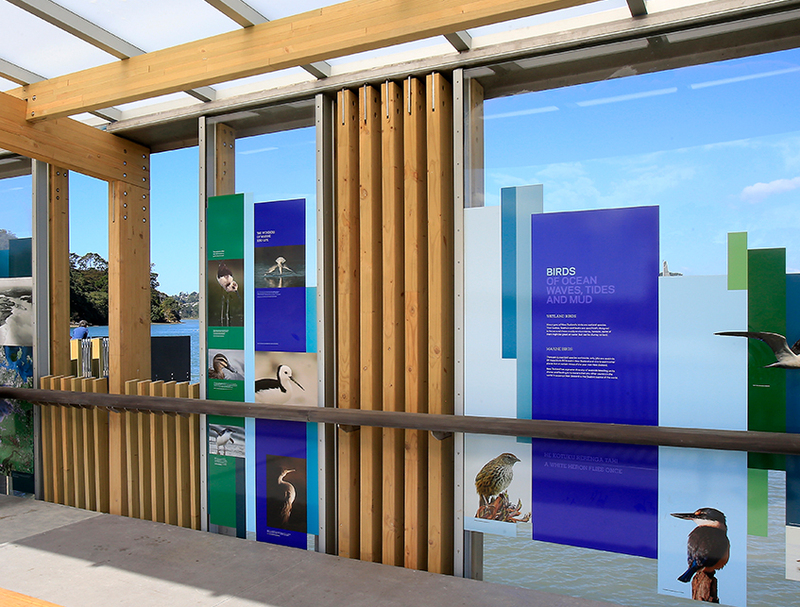 The wharf also features a viewing platform with an illuminated Virginia King sculpture and panels depicting historic and modern-day imagery of the area. We collaborated with the architect, engineer and client to ensure the components were delivered on time with the desired result achieved. Tight timeframes and a high level of accuracy were achieved to the satisfaction of all involved. Laminated elements were finished in our plant before being installed on site. 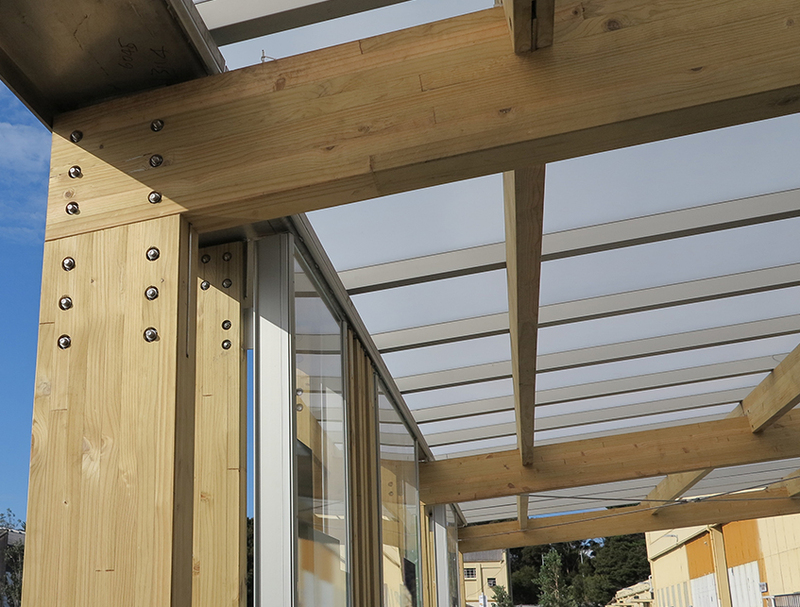 Using portal frames, the simple construction was designed to support the roof structure. 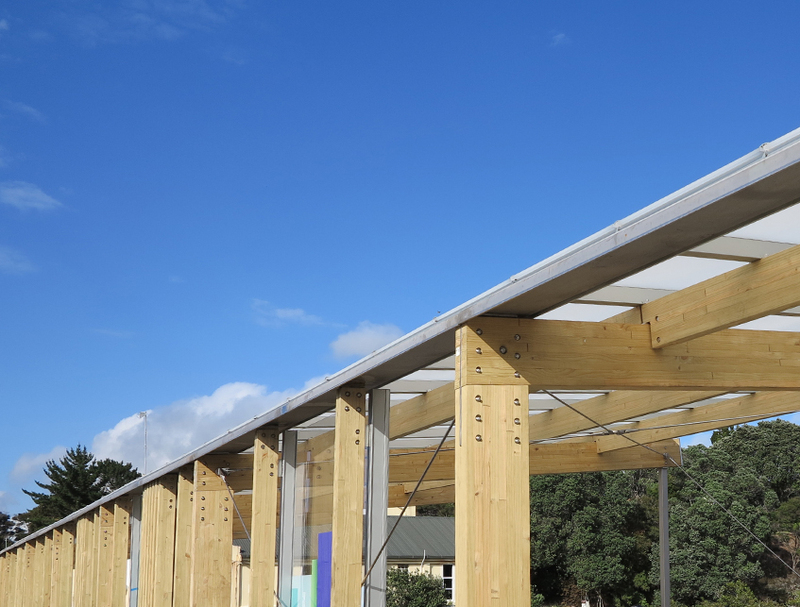 Appearance grade glulam fins were used as a way of diffusing the prevailing westerly winds, protecting commuters. The fins also enabled unobstructed views through to the harbour beyond. Laminated fenders live in salt water with boats constantly butting up against them. 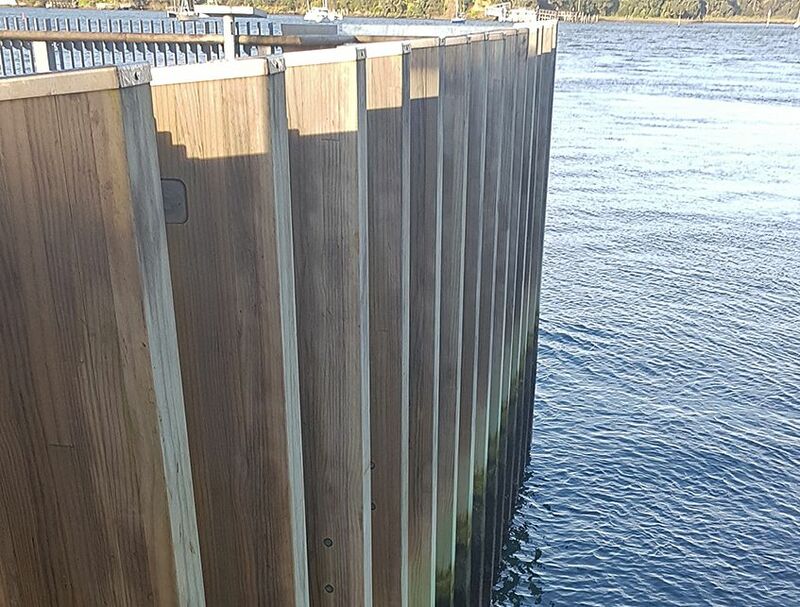 A previously un-heard of context for a laminated timber product, the fenders are functional, strong and resistant to corrosion. “The project being such a success, is a testament to the effort and skill of your team. Techlam played a big part in the pre-construction and planning of the project & were excellent to deal with and very accommodating in this area. There were a number of changes and challenges with construction due to the location and design but the team really helped and responded well.